Entry doors add beauty and security to every home. The type of entry door, however, determines the level of security a home can have. The better the security, the better it will be for homeowners. Different types of entry doors provide different levels of security. 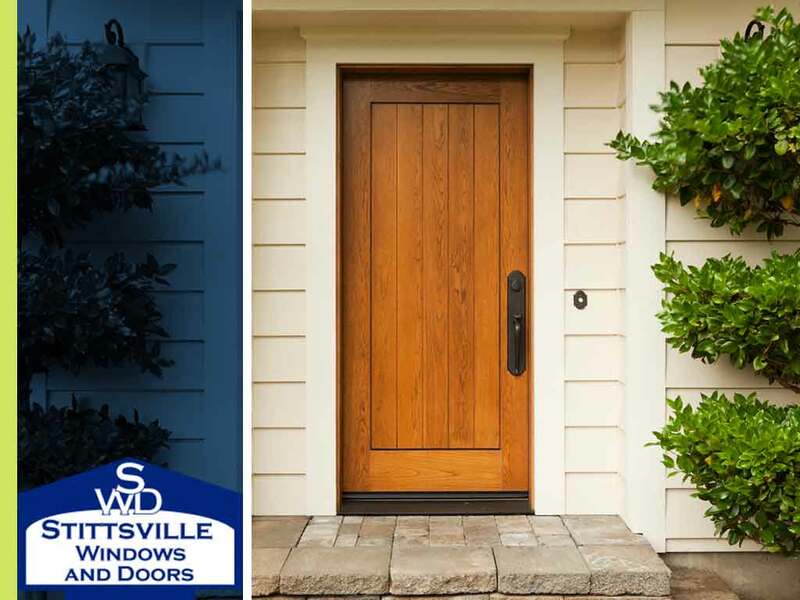 Trusted door installation company, Stittsville Windows and Doors, discusses each entry door type and how they can help secure your home. Wood doors are undoubtedly the most beautiful type of entry door. These have the high-end looks every homeowner or would-be homeowner would want to have in their home. Wood doors are very resistant to wear and tear, and they are the least likely to dent compared to other types. They are also relatively easy to repair if needed. Wood doors, however, are possibly the most expensive and may require constant maintenance. They are also susceptible to rotting, warping and expanding. Steel doors comprise nearly half of all the doors available in the market. These doors offer roughly the same level of security as wooden doors, albeit at a lower price. They are energy-efficient, and door installation experts say they require less maintenance compared to wooden doors. Nowadays, steel doors can be fashioned to mimic the look of wooden doors. They aren’t as long-lasting as wooden doors, however, and aren’t as weather-resistant as their wooden counterparts. They can also be dented or scratched easily, and need to be repaired quickly in the event of a scratch to prevent rusting. Fiberglass doors are becoming more popular due to their energy efficiency and durability. They are available in various finishes and can be made to look like a high-end wooden door. Added treatment can make them look like real wooden doors. Fiberglass doors are better than steel doors at resisting wear and tear. They aren’t as expensive as wooden doors and won’t require the same amount of maintenance. They can, however, crack when hit by strong impact. If you’re looking for the best entry door to secure your home, Stittsville Windows and Doors can help you. We offer you quality entry door installation services that will last you a long time. Call us at (613) 706-1922. We serve homeowners in Stittsville and Kanata, ON, and nearby areas.